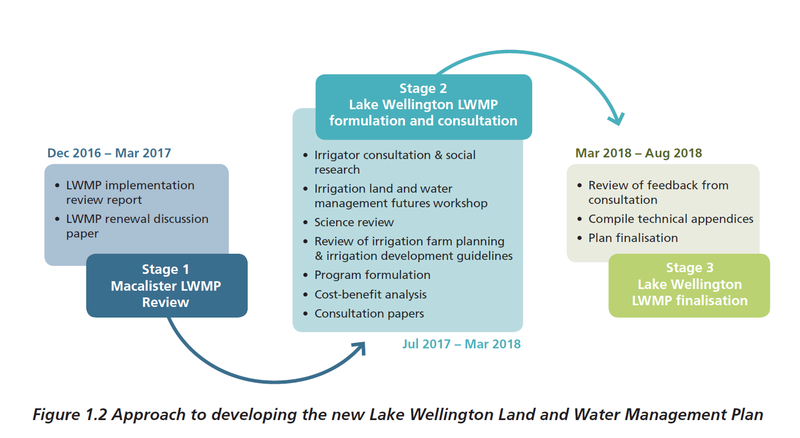 The Lake Wellington Land and Water Management plan (2018) outlines how irrigators, industry and government will work together to achieve a highly productive and sustainable irrigation community that values and protects its natural and cultural assets. The final documents are available below. or phone 1300 094 262. 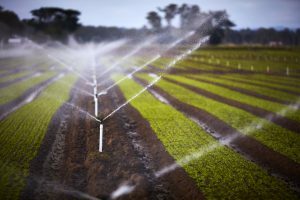 The state government requires Land and Water Management Plans be developed for irrigation districts in Victoria. They are regionally developed plans which will support and guide investment in the region, with the aim of facilitating irrigated agricultural development while continuing to improve the management of salinity, water logging and water quality risks from irrigation. The MID and other irrigation areas drain into these lakes, rivers and wetlands and reduces the quality of water entering these systems. 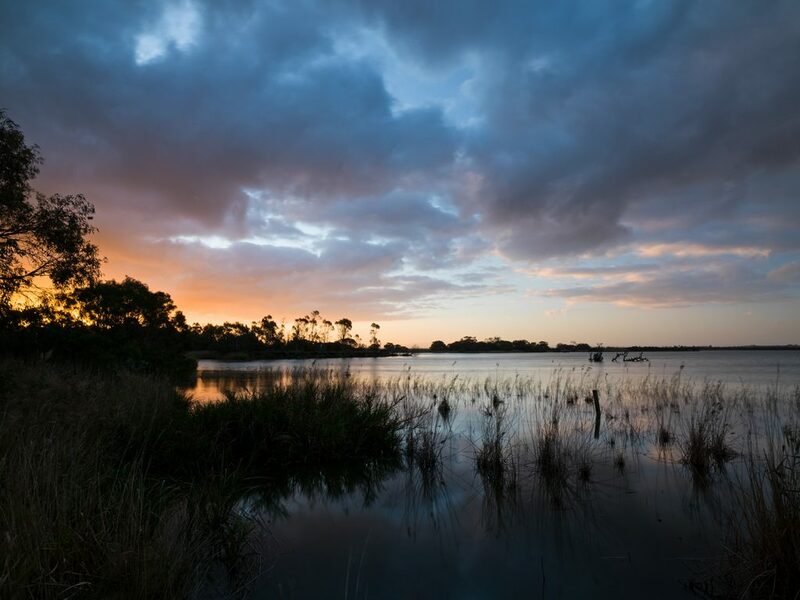 The Gippsland Lakes provide huge environmental, social and economic value to the Gippsland region. Excess nutrients are a major contributing factor to increasing the risk of algal blooms in the lakes. Irrigated and dryland agriculture contributes nutrients to the Lakes. Salinity and waterlogging also threaten agriculture productivity and are key issues to continue to manage. 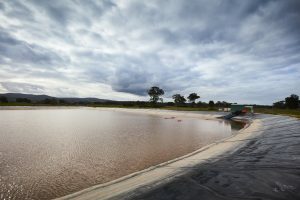 The Lake Wellington LWMP was developed during 2016 – 2018 in consultation with irrigation community, government agency partners, industry representatives and Traditional Owners . The plan development is funded by DELWP through the Sustainable Irrigation Program. This new Plan builds on the successes and achievements of the previous plan and seeks to extend its culture of innovation and collaboration in irrigation land and water management to the remainder of the catchment. 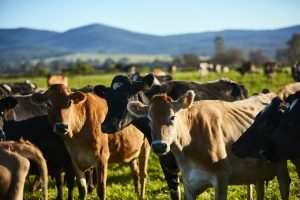 The new Plan seeks to involve the catchment’s irrigators in programs which save water, increase production and retain nutrients and soil on farms. 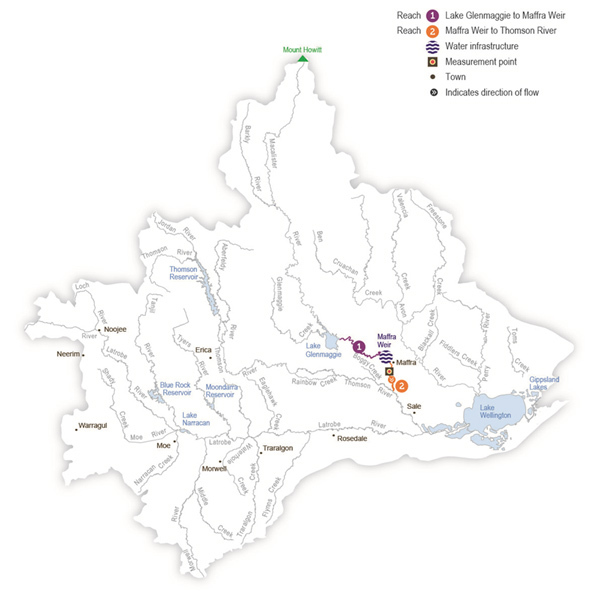 As has been demonstrated for the MID, implementing these kinds of activities reduces the impacts of irrigated agriculture on local waterways and the Gippsland Lakes and helps to stabilise water tables and contain the effects of irrigation-induced salinity. Recognise Indigenous cultural values and social values associated with waterways and the uses of water. 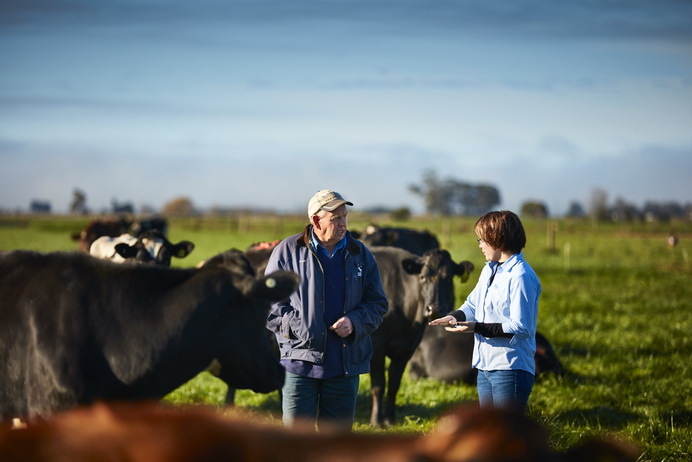 Implementation of this Plan will initially focus on irrigated dairying in the MID and adjoining areas. As implementation proceeds, opportunities to involve vegetable growers and other irrigators from across the catchment will be explored and developed. 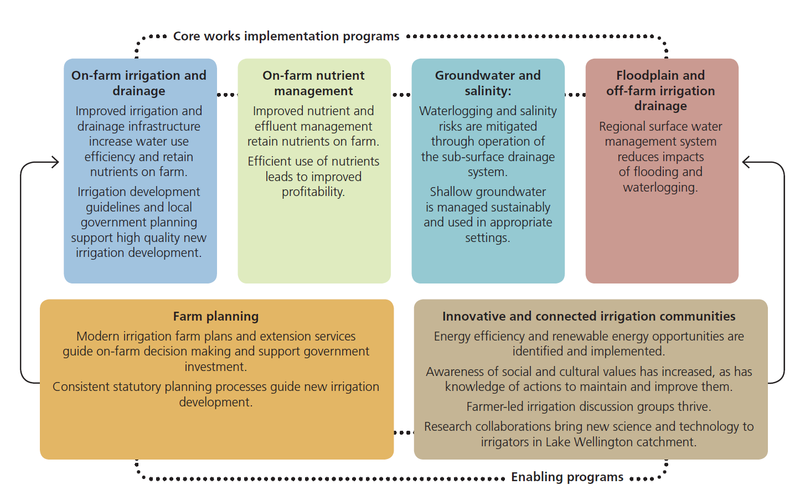 Programs and activities described in the Plan may be adapted and new activities introduced through the Plan’s adaptive management processes following engagement with other industries and irrigators. With irrigation projected to expand within the catchment and the intensity of irrigation land use to increase, the Plan’s programs will need to be fully implemented to achieve the proposed, new SEPP water quality improvement targets. A highly productive and sustainable irrigation community that values and protects its natural and cultural assets. 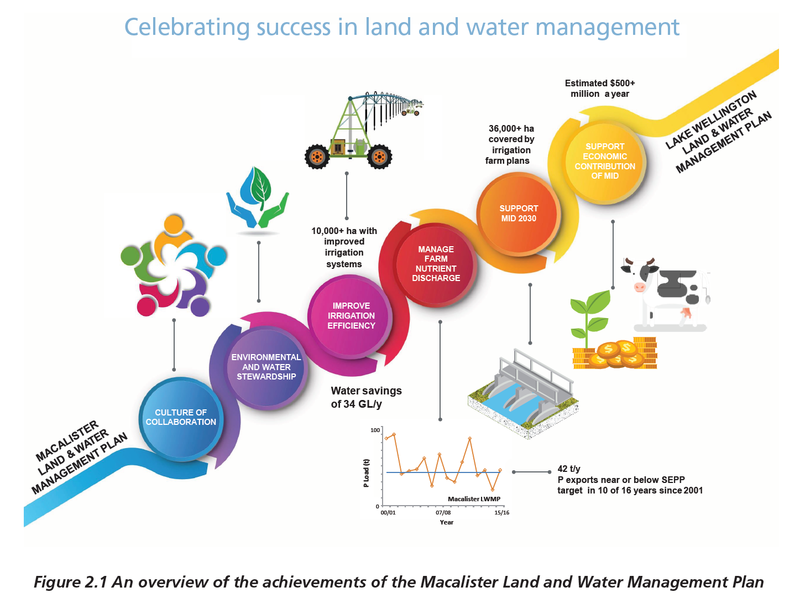 This vision reflects the catchment’s status as an attractive and highly productive irrigation region and the aspiration for irrigated agriculture to be profitable, environmentally sustainable and resilient in the face of continued changes and challenges. It also highlights the value placed on the social and cultural connections to land and Country among irrigators, Traditional Owners and the broader catchment community. Support irrigators to be more productive, sustainable and efficient, and demonstrate this to the community. Protect rivers, wetlands and the Gippsland Lakes from excess nutrients and sediment and reduce the risk of algal blooms. Help manage impacts of salinity and high-water tables. Protect our natural, cultural and social assets of the irrigation regions for future generations. Images on this page are courtesy of the Department of Environment, Land, Water and Planning and Craig Moodie photography. For more information on this project and others, subscribe to our newsletter, Catchment Snapshot.